Welcome color and lively fun to any wall or fence with our wonderful set of four, wall hanging floral garden decor! 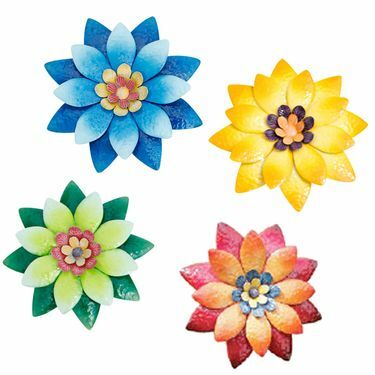 Scatter these assorted metal flowers along the side of a house, inside the garage, or on a bland garden wall and enjoy bright colors all year long, no water required! Sold as a Set of 8 Flowers. Comes in 4 unique colors, you get two of each.